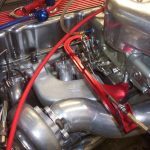 Aussiespeed Holden six red and blue motor manifolds offer true horsepower out of the box, these manifolds are not just a bracket to hand another carb on the side of your engine. 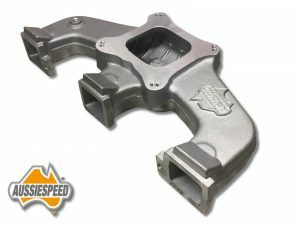 The Aussiespeed range of Holden 6 performance manifolds offer high velocity port design semi tuned length intake runners. 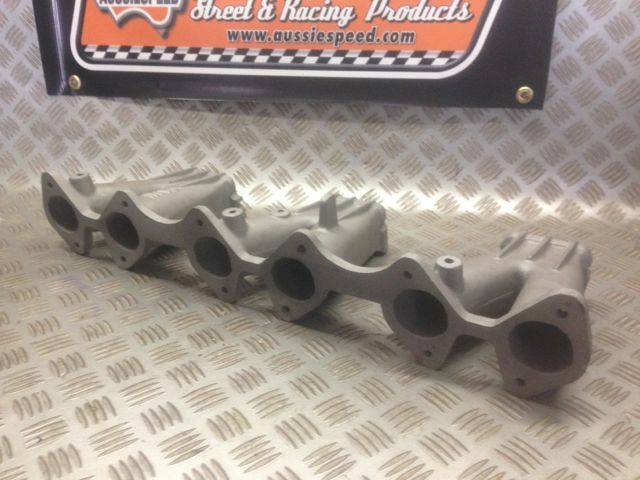 AS0002-16 to suit red motor 9 port cylinder heads. 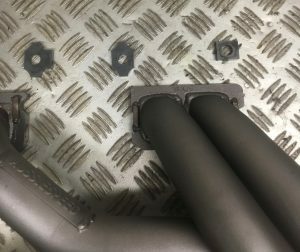 AS0009-16 being the big port to suit 12 port black and blue motor cylinder heads and the latest released in october 2016. 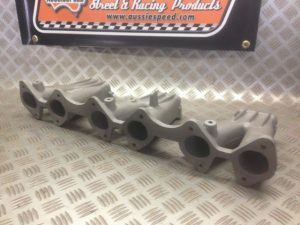 The all new AS0003 it is a small port manifold to suit 12 port cylinder heads for engines looking for good throttle response and is ideal for mild street engines that operate between idle and 5000 rpm. 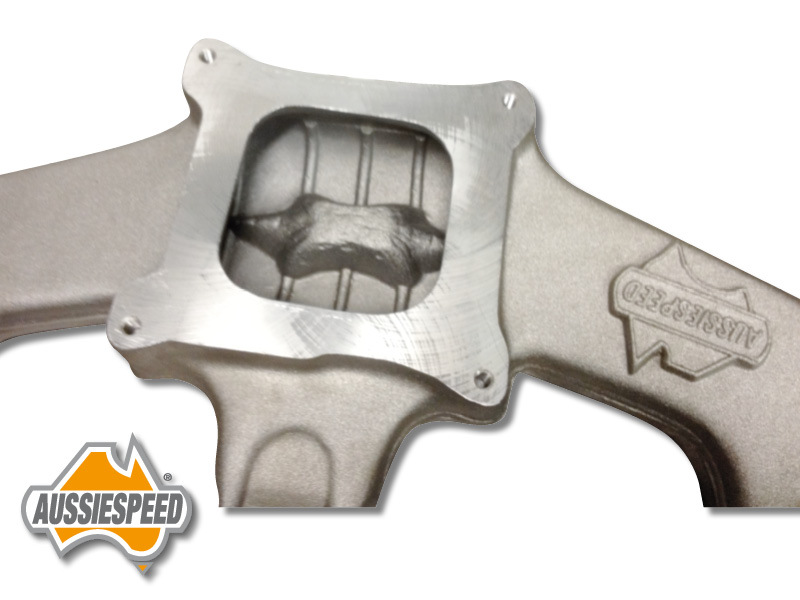 These are all available in the Aussiespeed online store. 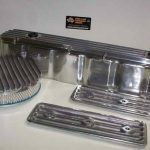 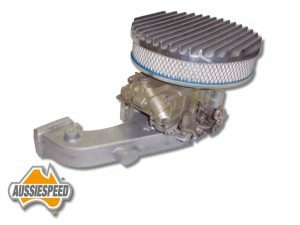 Aussiespeed has a very extensive range of performance and dress up stuff for Holden 6 cylinder engines. 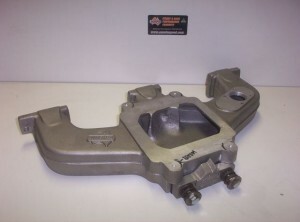 The ultimate Holden six manifold has features we have used in our 4 barrel manifolds for Holden 6 cylinders, We havent just changed the flange to accept a 2 barrel manifold the plenum shape,runner volume,runner length were designed to produce the #1 performing Holden six 2 barrel manifold . Pictured is the new Holden six manifold with Holley 500 CFM 2 barrel Carb & AussieSpeed 9 inch polished finned air cleaner. The Red motor & blue motor manifolds use different port heights. 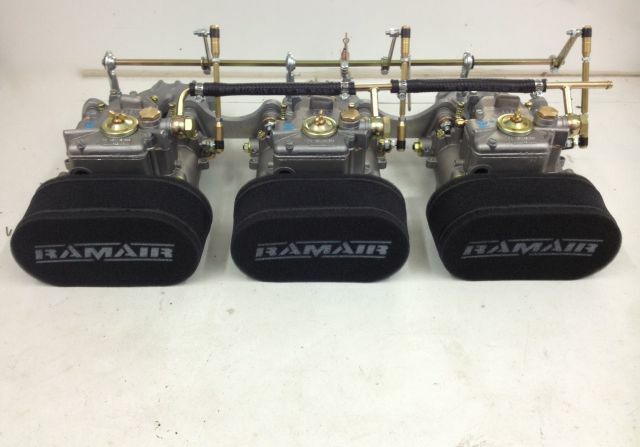 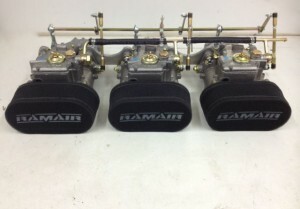 You simply can not make a 2 or 4 barrel manifold that fits both engines & gives maximum performance. This picture shows a ceramic coated Aussiespeed manifold the divided plenum of the AS0167 and AS0169 Aussiespeed 2 barrel Holden 6 inlet manifold, The unique plenum is not unlike to the type used on our 4 barrel Holden & chevrolet inline 6 cylinder manifolds. 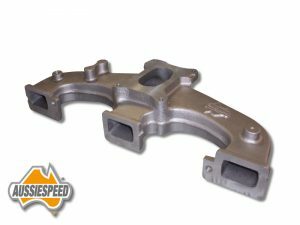 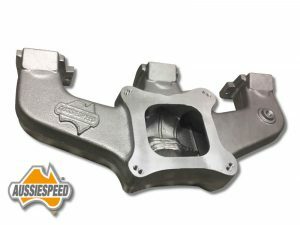 The New AussieSpeed Holden 6 2 barrel performance inlet manifold is 195mm wide from runners 3 and 4 to the outer ear mounting pads. 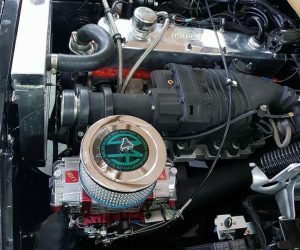 Photographer and Street Machine owner Rick found that the power he gained by switching to the AS0167 2 barrel manifold greatly increased his terminal speed and 1/8 mile times. Many hours have gone into the Aussiespeed range of intake manifolds the AS0002 has under gone changes to the current model shown above. 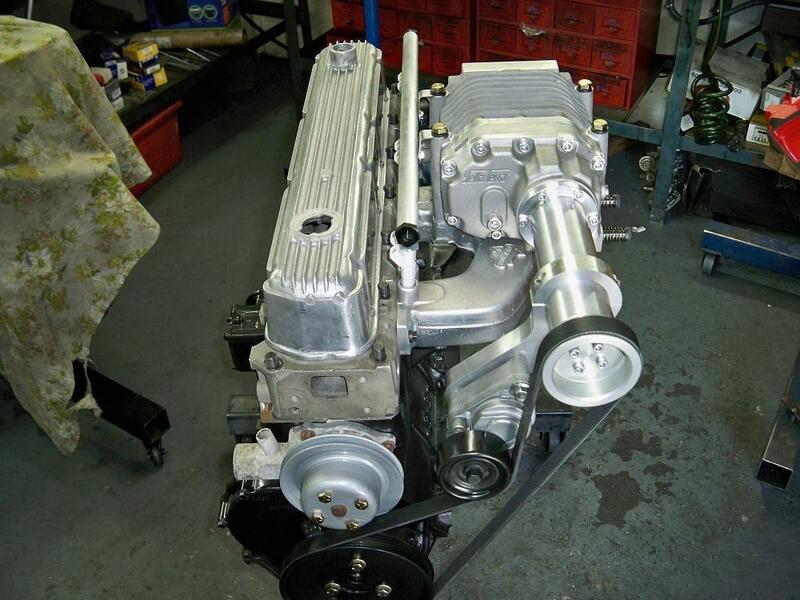 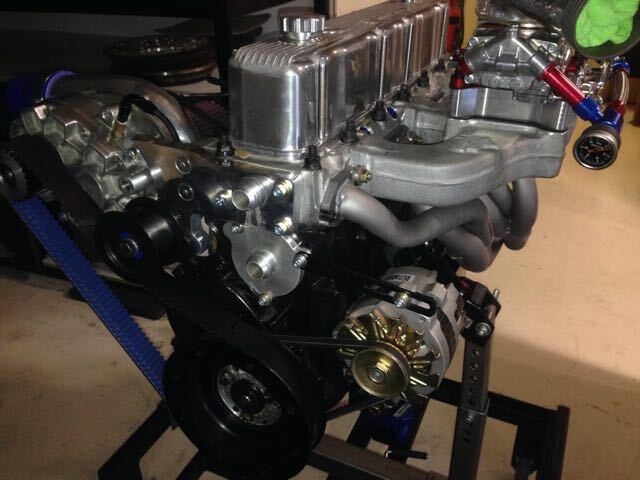 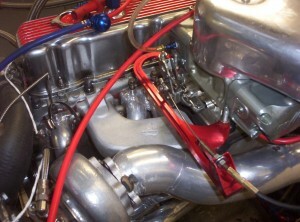 Picture shows the AS0002 Holden red motor 4 barrel manifold on intercooled turbo 202 with Barry Grant blower carb. 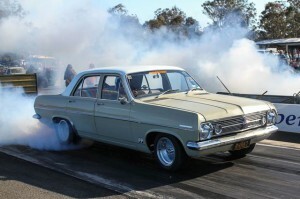 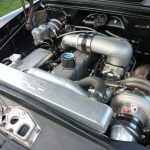 This turbo Holden 202 is running a blow through turbo set up. 12 port 180mm runner length suited for very modified engine boasts large free flowing ports. 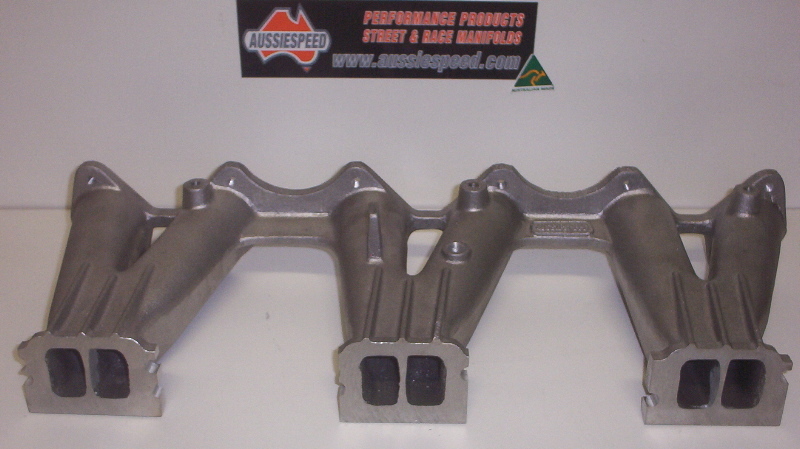 Part # AS0006 Aussiespeed Holden 186,192,202 red motor 9 port manifold suit Dellorto & Weber DCOE side draft carbs. 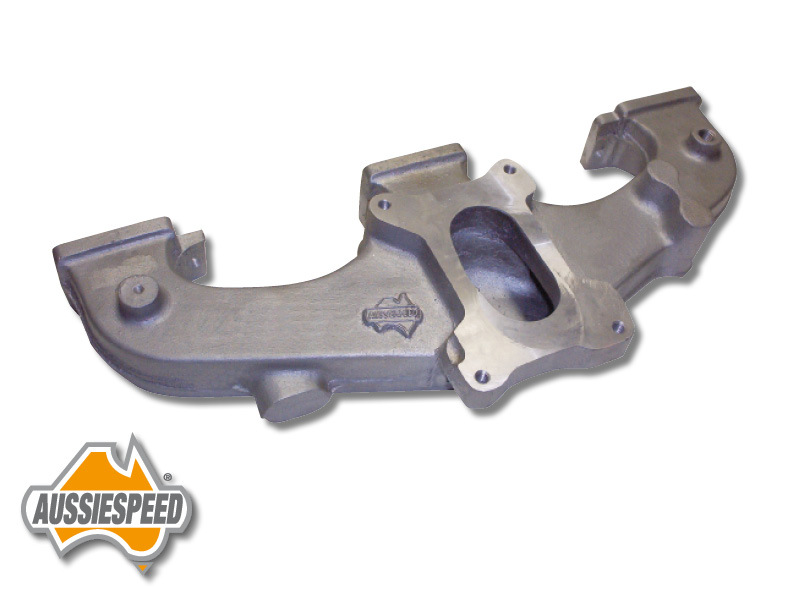 Part # AS0202 Short runner 3x DCOE Weber Dellorto Holden 9 & 12 port intake manifold. 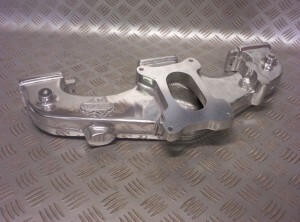 140mm long from carb flange to head face. 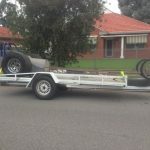 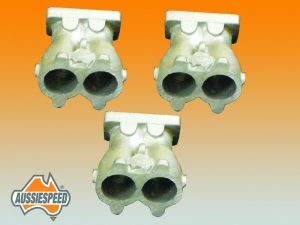 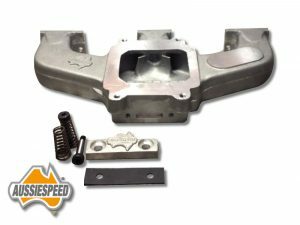 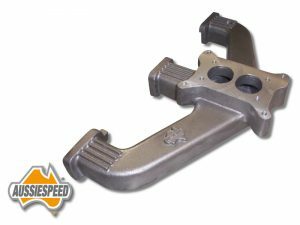 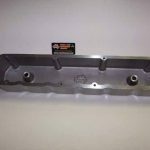 The Short runner Aussiespeed triple manifold has been used on both street and race cars, we have customers using the manifold on both dirt track speedway and street cars. The manifold does require additional grinding and porting to suit your cylinder head and exhaust headers. 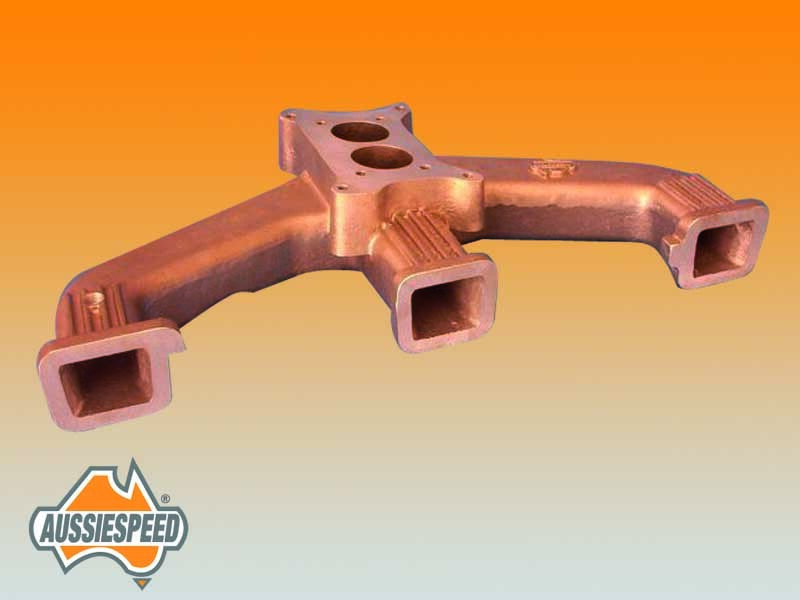 This is a performance manifold designed for performance engines. 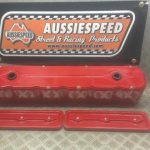 Part # AS0005 Aussiespeed Holden 202 Red,Black & Blue motor 12 port manifold suit mechanical fuel injection. 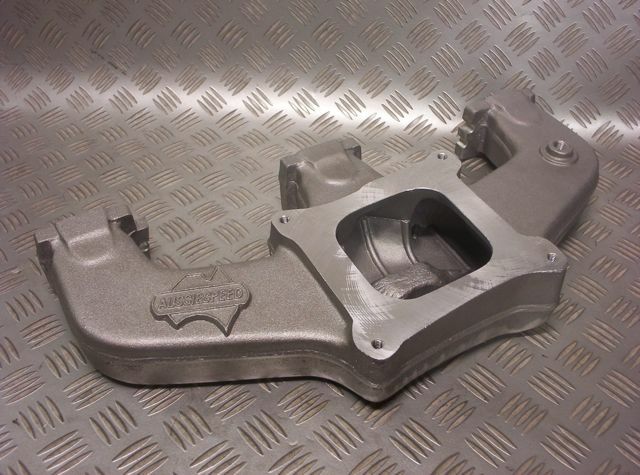 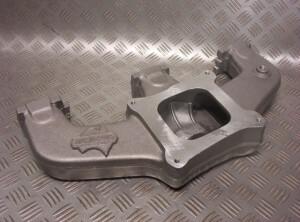 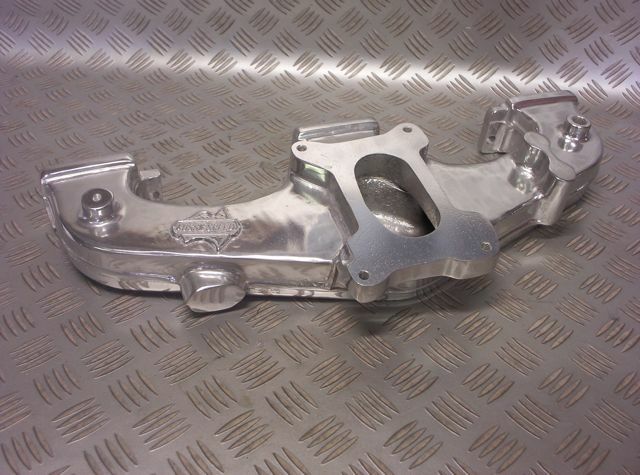 Holden six mechanical fuel injection manifold,Supplied as 3 bare throttle body castings unmachined.The throttle bore is a cast hole of 41mm & once machined to accept 45mm butterflies. 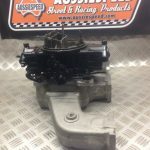 Holden 186 202 red motor manifold to suit Ford 2 barrel Weber as used on XF 250 motor.This manifold was intended for use with LPG using the Weber carb base plate for running straight LP Gas or dual fuel for modified Holden 6 red motors . 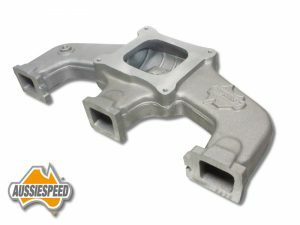 Large demand for a better flowing Holden 6 Black & Blue 202 6 cylinder manifold AussieSpeed, has completed a brand NEW 4 BARREL manifold for your Holden BLUE/BLACK 12 PORT HEAD SIXES.The new manifold is a total new design with even flowing runners high velocity runners for faster acceleration & easy tunning as poor cylinder balance can need to be run with 2 different size main jets to compensate . 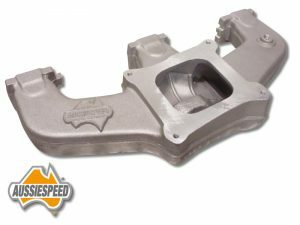 Huge performance gains can be found when the AussieSpeed AS0009 4 barrel manifold for Holden 6 engines is used with the new yella terra head. 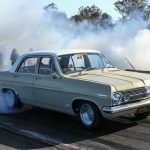 The head has been designed to be used with either factory cast iron 3.3 litre commodore or WB 202 blue motor cylinder heads or for maximum performance gain the new yella terra holden six alloy cylinder head. The new Yella terra aluminum cylinder head The head is much lighter than the std cast iron head ,produces more horsepower out of the box than std iron head by up to 50 horse power, is about a 3rd lighter accepts up to 450 thou valve lift & is available in both 72cc for turbo & supercharged holden sixes or 56cc combustion chamber. 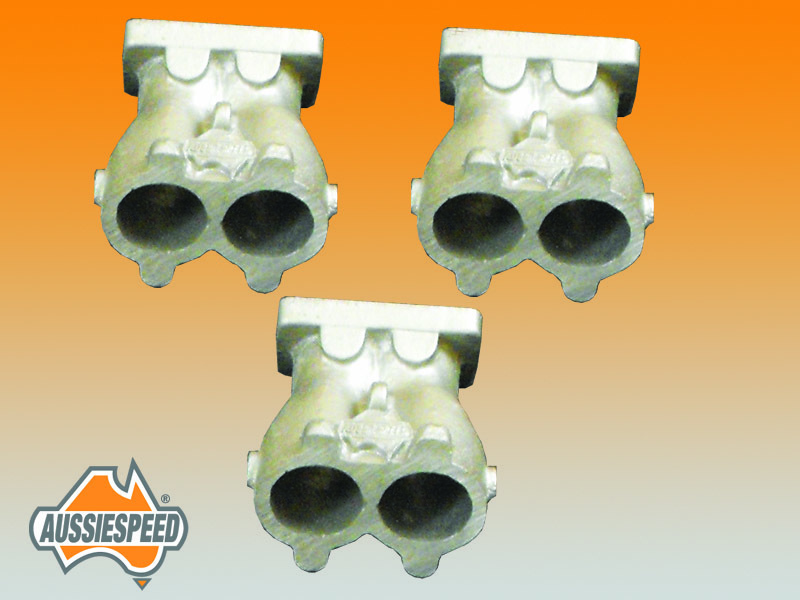 valve size for both cylinder heads are the same size. 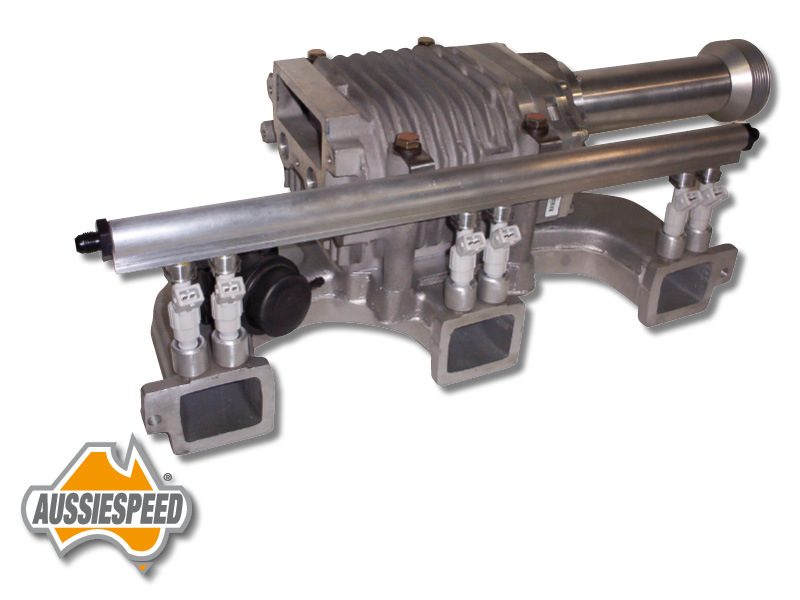 The Aussiespeed 12 port 4 barrel manifold features high velocity port runners, To make more air speed for a broader power band & torque curve . Port size allows for bolt on with unported head. 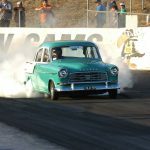 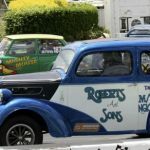 Holden 6 cylinder using AS0009 4 barrel manifold with procharger supercharger made over 400 horsepower, the engine was extensively modified and engine was built by Bullet Cylinder Heads. The Aussiespeed Holden six blue/black motor 4 barrel performance manifold has a unique design plenum that will work on mild street engine to & all out race engine,The plenum filler is to boost air speed & due to its shape works in upper RPM to aid in fuel/air distribution. 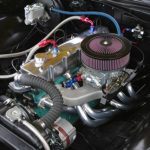 due to the manifold runner & plenum volume the manifold has a larger volume than other 4 barrel manifolds & the shape over comes out of the hole bogging when used with a tuned carburetor & matching ignition system. 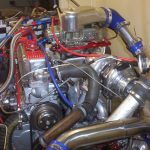 For drag racing application the plenum improves 60 foot times & in our testing our test engine the ET was quicker with the plenum filler. This manifold suits the Yella Terra Terra charger and with an extra mounting plate will accept the Ford V6 T Bird M90. This manifold has the provision for an external bypass valve as well as a built up pad for fuel injection or nitrous foggers. 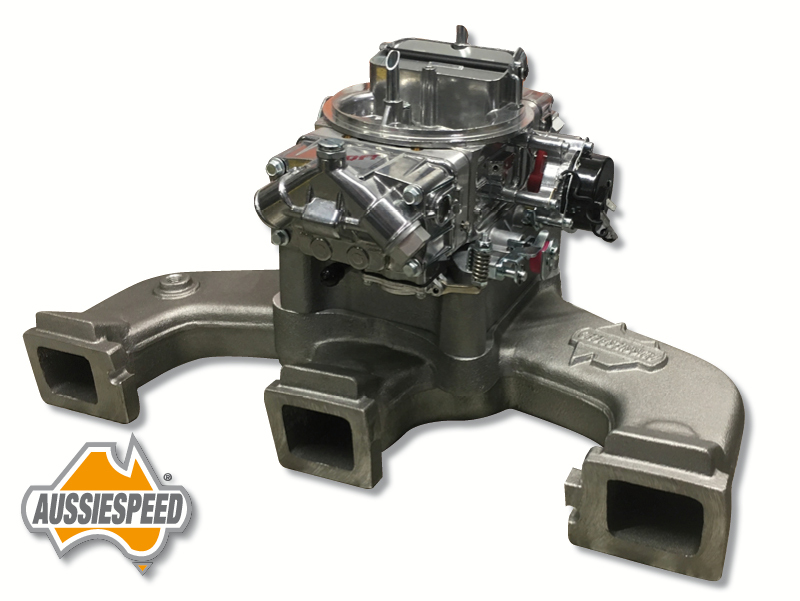 A system that was developed for a customer using a throttle body with fuel injection, the fuel injection and fuel rail was manufactured by TTT Performance. Holden 6 Header Manifold Fit Up.